Updated Sunday April 21, 2019 by R. Barlow. All other applicants will be waitlisted. 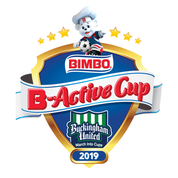 Buckingham United Soccer Club's Annual Tournament Announced! Are you tough enough? Only the strong "March" into Cups!! Knock the rust off by getting your team outside on six turf fields and real grass in beautiful Bucks County for a high level of competition to prepare for the State Cup and your spring season!